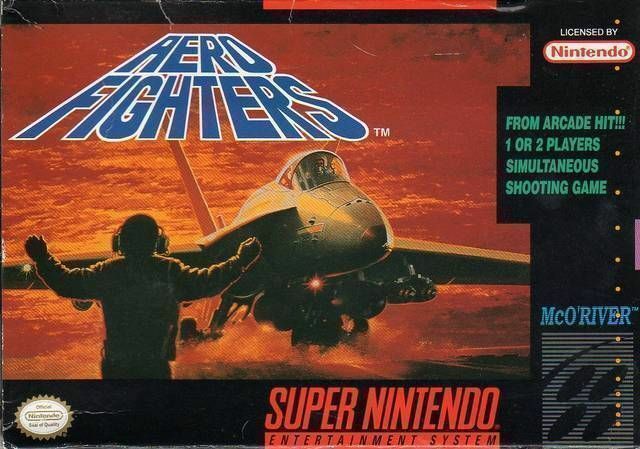 Aero Fighters for Super Nintendo is the first of three popular top-down strafing shooters. Select from 12 different unique planes to fly. Fight enemies from land, sea, and air. Aero Fighters features 2-player simultaneous play and 4 main playable jet fighters each with its own anime-styled pilot and specialized super attack.